The Watchdogs of Farron are similar to the Aldrich Faithful in that they exist to defend a specific area in the game, located around Farron Keep. Defeating interlopers in this region in PvP battles earns Wolf’s Blood Swordgrass. 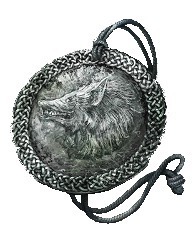 To join the Watchdogs, speak with the Old Wolf, located high in the tower above the swamp near Farron Keep.